In the last year or two, there has been a resurgence of awareness and debate about the big, structural issues facing America’s persistently poor neighborhoods. But one part of the equation has largely been left out: stigma. A large body of research has shown that stigma and reputation, above and beyond other factors, can have serious negative consequences for urban neighborhoods—and that it falls most harshly against majority black neighborhoods. A series of articles came out this summer about the decline in bus ridership, positioning rail as the urban transit mode of choice going forward. But a closer look at the numbers show that where bus service has held steady or grown, so has ridership—the problem is that bus service has been cut in cities all around the country. Nor do those cuts seem to be predicted by falling ridership beforehand. 10. What’s really going on in gentrifying neighborhoods? The common narrative about gentrifying neighborhoods is that demographics change—towards wealthier, and usually whiter, residents—largely because older residents are pushed out by rising prices. But a study from the Philadelphia Federal Reserve confirms most previous research in finding that the real driver of change is who’s moving in—not who’s leaving. Despite the conventional wisdom, the researchers find little evidence of widespread displacement. 9. 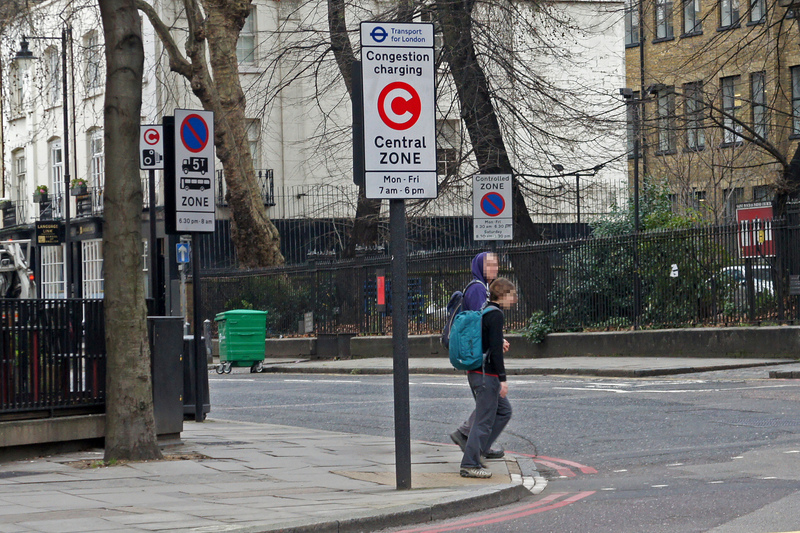 Reducing congestion: Katy didn’t. 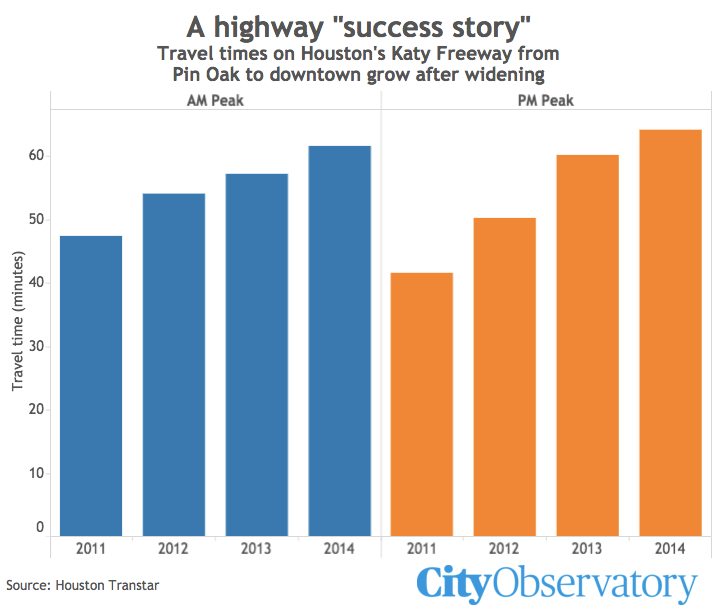 The American Highway Users Alliance touted the widening of the Katy Freeway in Houston as a “success story” in the fight against congestion. There’s only one problem: congestion got worse after the project. Oops. 8. Great neighborhoods don’t have to be illegal—they’re not elsewhere. Our second-most-read post this year was all about “illegal neighborhoods”—but in this post, we point out that in many other countries, walkable communities with a diversity of housing options are still perfectly legal. Going off of Sonia Hirt’s excellent new book, Zoned in the USA, we take a quick tour of how zoning works in other countries. Hint: “low density residential” doesn’t have to outlaw neighborhood corner stores or lowrise apartment buildings. 7. The high price of cheap gas. Gas prices have fallen precipitously, which almost everyone takes to be good news. But there’s a dark side, too: As prices have fallen, driving has increased—and with it, greenhouse gas emissions, traffic congestion, and injuries and deaths caused by car crashes. The lesson: pricing has a big effect on driving and its negative consequences. We don’t have to wait for gas to get more expensive, however—raising the gas tax, or levying congestion or parking charges, could have the same effect and raise revenue for transportation service and maintenance.